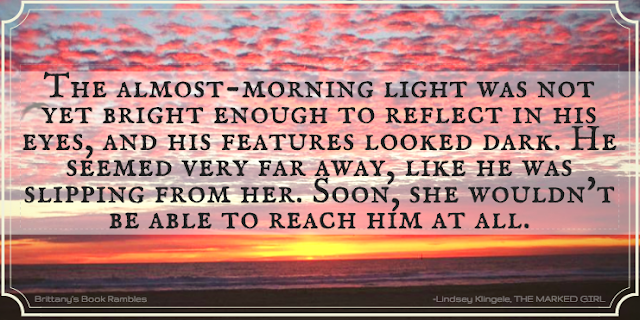 Action-filled and steamy, The Marked Girl combines parallel universes and time travel, resulting in a wonderful debut novel packed with romance, adventure, and demons! It's a unique premise with characters that have intriguing, interconnecting story lines, and I can't wait to find out where the next book takes us. With all of that said, the book did slow down a bit towards the middle, and some aspects of the plot were slightly predictable. 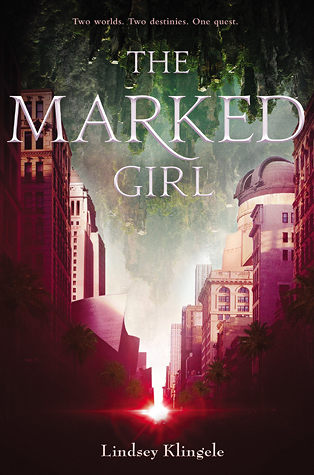 However, I still greatly enjoyed The Marked Girl, and would undeniably recommend it to all young-adult fantasy lovers! 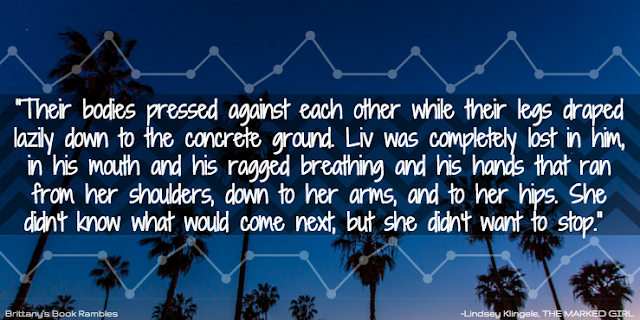 1) My favorite part of the book was the dialogue—particularly between Liv and Cedric. It was hilarious, electric, and it hit me right in the feels each time. 2) Each time Liv had to explain to Cedric and his friends about modern day living was hysterical. I especially enjoyed Liv telling Cedric how it isn't normal to carry a sword onto public transportation. 3) The family dynamics in this book are eye-opening. 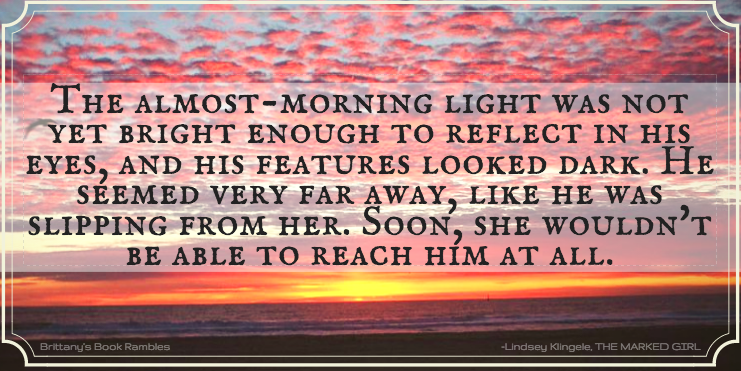 The Marked Girl sheds a light on the foster care system, and how siblings can be torn apart; It depicts both loving family relationships, as well as dysfunctional ones. 4) The teenagers aren't just running around with swords and fighting demons without anyone noticing—there are actually cops and government officials involved. This almost never happens! 5) Action scenes are among the hardest to execute in a book. 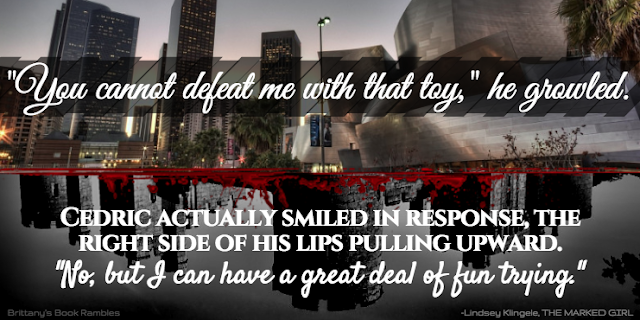 It's not easy to write a fight scene that gives me an adrenaline rush, and in most cases, I find action scenes nonsensical and dizzying (and not in a good way). I didn't just love the action scenes—I simply couldn't get enough of them. They were clear, well-written, and read like a scene from a movie. 6) The chemistry between Liv and Cedric was awesome! There was a great connection and energy between. For book two, I just hope my ship doesn't sink . . .
1) Villain monologuing . . . I've never been a fan of it. It takes away from the villain's evilness, and I like my villains evil. 2) I enjoyed The Marked Girl's plot, but around the middle of the book, the pacing slowed and I wasn't sure where the story was going. I felt that some of the side characters involved didn't add much to the story, but rather took away from the main focus of it. 3) The Marked Girl is told through Liv and Cedric's POVs, but it's predominately told through Liv's. I would have preferred more balance so that I could see more of the story from Cedric's side. Great review! I've seen this book around but haven't seen many reviews. Definitely need to grab this one! I'm so glad you liked my review! I hope you enjoy The Marked Girl! This is one that I keep seeing around and wanted to read. Based on your review I'll have to give it a try! Great review! Yay! I can't wait to see what you think of it! Great review, very helpful. I will check out this book as I love great dialogue. It's a really interesting concept with a unique twist that I've never seen before, so definitely check it out! The Marked Girl sounds super good!